Need to add an Instructor to a Blackboard module? Here’s how…. 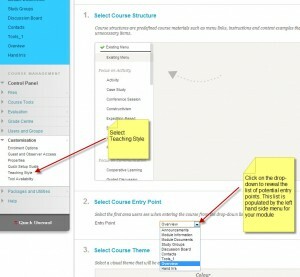 If you are an Instructor on a module in Blackboard, it is possible for you to enroll other Instructors in that module. 2. In the Users page, click on Find Users to Enrol. 3. 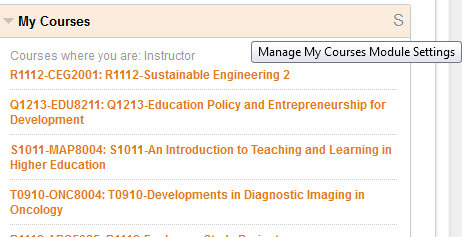 In the Enrol Users screen enter the username of the member of staff you wish to add. 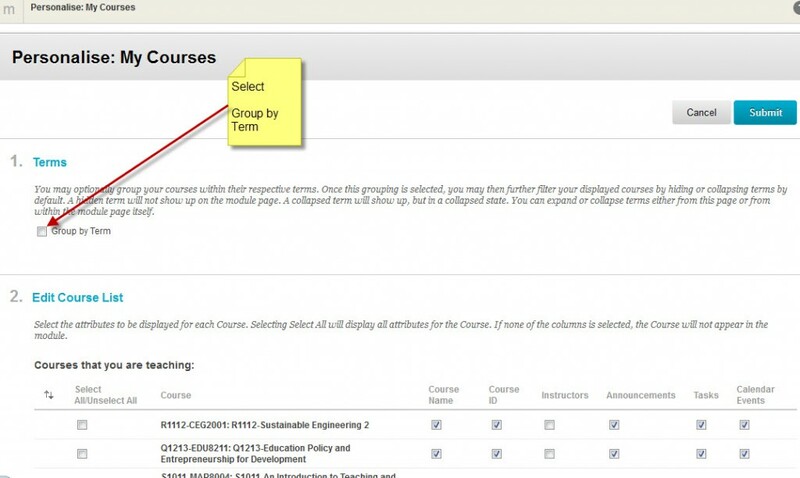 Change the Role in the dropdown box to Instructor, then click Submit. NB: If you don’t have the username of the staff member you would like to add then you can search for them by name or email address using the Browse button. Thanks to the efforts of ISS and the Learning Technologies team it is now possible to easily re-organise your list of modules by academic year. An example of the new ordered view by academic year. Click on the image below to view a larger one. 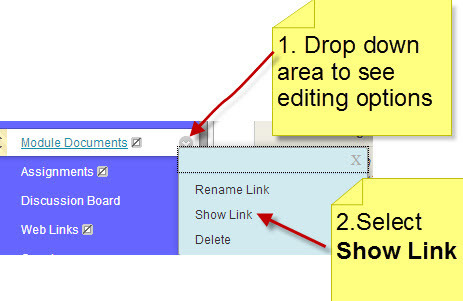 Move your mouse cursor over to the content area and from the drop-down area select SHOW LINK. Finished. See the image below for further clarification. 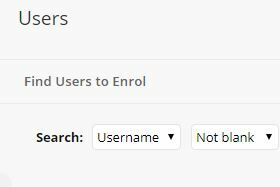 As an Instructor (Modules) or a Leader (Community) in Blackboard you have the permission to enrol colleagues on to your Module/Community. 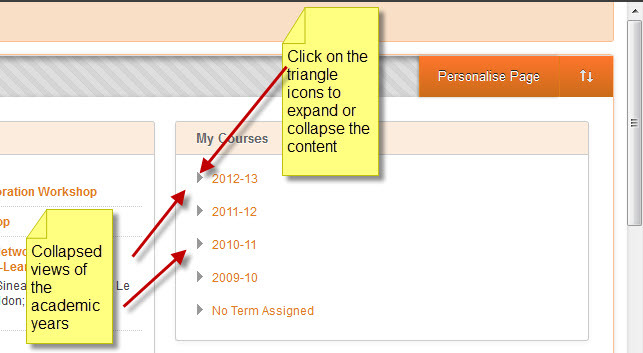 At the current time we have 3 main roles within Blackboard. You may also have heard of “guest access”. This is not currently enabled by default BUT if you are interested in using this feature please contact QuILT or the IT Service Desk. 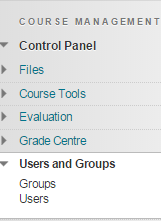 Log into your module and navigate to Control Panel > Users and Groups> Users. Click Submit. You have enrolled a colleague on to your module. How do I avoid lots of emails when I set a timed test for students to do outside exam conditions? One of the most useful bits of advice is not to tick the ‘Force Completion’ and ‘No Backtracking’ options. There is a very helpful explanation of the issues caused by force completion from Arizona State University. The suggestion made here is to use the timer instead. You could even try the ‘Autosubmit’ option at the same time. 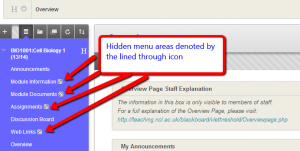 How many staff and students have accessed Blackboard since early September 2012? A question me and my colleagues occasionally get asked is…...How many staff and students use Blackboard? Well it depends what you mean by use, but here are a few metrics provided by Google Analytics with regards to Blackboard here at Newcastle University. The numbers listed here refer to the period from 03.09.12 to 22.11.12. 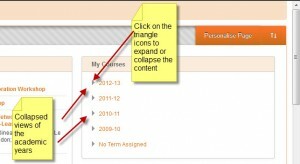 At the present time in order to access Blackboard you need a University username and password. So as you can see it is accessed a great deal by staff and students with an average of over 16 pages browsed per visit for just over 7 minutes per visit. 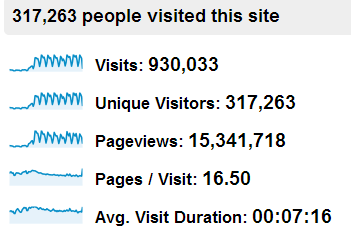 From statistics provided by the Blackboard application during the same period over 21000 active users (staff and students combined) logged into Blackboard. This is an impressive percentage if you take into account the total number of staff and students at the University based upon 2011/12 data. From this data total student number is 21,045 and total staff is 5096. From these two totals a significant number will not use Blackboard at all (Research based, operational and specialist staff, some medical Programmes). By my guesstimate if you reduce that total to around a potential total of 23000 you can see that a high percentage of staff and students use the institutional Virtual Learning Environment, Blackboard. 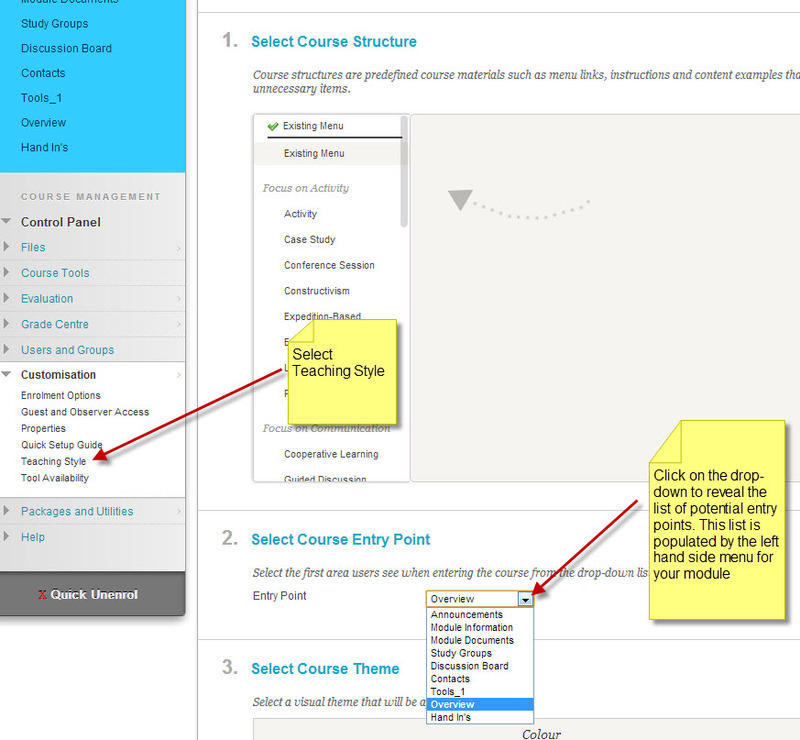 The default entry point that you see when you login to a module can be altered to an area/activity of your choosing. This has always been the case but I think that staff were unaware of this feature. For some modules the entry point will be “Announcements” for others “Home Page” for some “Overview” and it may well be something else for others. Go to the Control Panel area > Customisation > Teaching Style. Alter the entry point from the drop-down list and click SUBMIT. (Click on the image below to see a larger one). 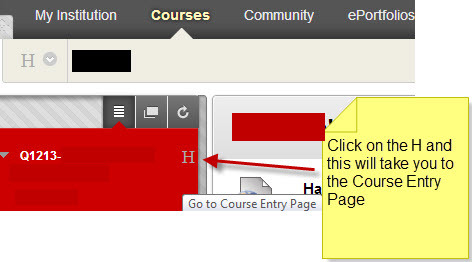 Video files are typically too large to upload directly to Blackboard. If you don’t want to put materials on public sites such as YouTube or Vimeo you can make use of a new ISS service NUVision. NUVision takes a copy of your video, converts it to a size that can be streamed over the web and emails you embed code that you can use in Blackboard content areas. You assign keywords, titles and descriptions to files when you upload them, creating a searchable resource for your school. 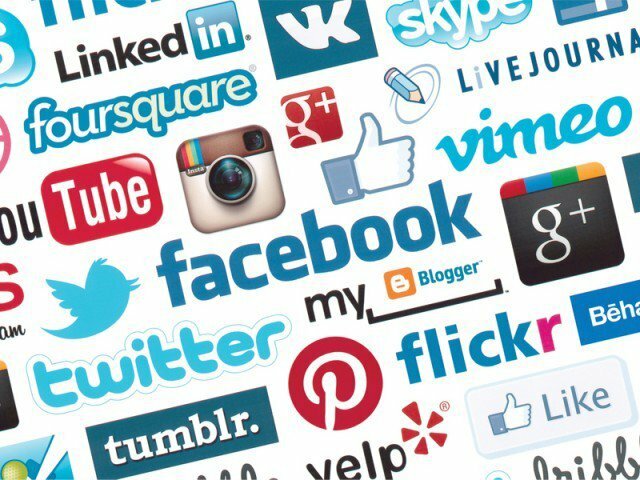 To get started you need to register to use the service. For further information see the NUVision web page.